Regardless if you’ve bought a newly built home, a resale in a maintained community, or a Apartment —owning a place of your own you get the itch to start home improvements itch,we all have this in us (or at least the need to do necessary maintenance and repairs). Maispa developers offers you 10 pieces of advice to help turn your house into a home. If you had € 50,000, no strings attached what home improvements would you do? Chances are, a long list of changes come to mind, from replacing tiles on the floors to adding a new bathroom. Some home improvements, however, are more likely to increase your home’s value than others. Although you shouldn’t think of your home as an investment, with limited home improvement funds, it’s good to consider whether a project has a decent return on investment. Do: Upgrade your kitchen, Revamp your bathroom, Go Greener, Install a built in speaker system. Do Not: Put in a pool, Covert a bedroom, Lay carpet or change tiles, add Ornate Lighting, or Redo your Garage or parking area. Whether winter is coming or you’re considering projects in other seasons, some home improvements are more urgent than others—saving you money immediately or preventing devastating damage. Sometimes it only takes a short time to make simple changes around the house that boosts your living space. Winter is coming, and with it come the hazards of the cold: busted pipes, wind, roof leaks and rodents. Have your central heating checked, is your outside furniture protected, ensure your gutters are clean from leaves etc, if you are using a fireplace, check the chimney. My home is screaming for a redo. I’d love to try my hand at doing some of the work myself. 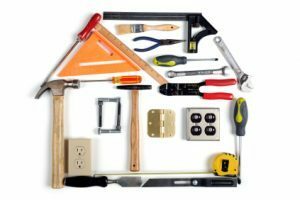 DIY home improvements can definitely be very rewarding; both in terms of saving money and the sense of accomplishment you’ll feel as you turn your living space into your dream home. Choose the wrong projects, however, and all your time and effort will be wasted—not to mention you’ll end up paying more to have the work redone correctly. Also, some improvements are just plain dangerous for regular homeowners (even experienced DIYers) to do themselves. Replacing the cabinets and countertops in your kitchen but only have the weekends to do it, make sure you’re comfortable having your kitchen an inaccessible mess for weeks or even months, but it’s not only time-consuming, it’s tricky and absolutely no fun (sawdust everywhere. On the other hand, many projects you can complete in a weekend or that can be more comfortably spread out over time are great for DIY. Examples are painting, landscaping, and finishing a room. Keep in mind also that while you might save on labor by doing a project yourself, the materials themselves could cost more than you think, especially since the pros tend to get better pricing. We can also rule out certain types of projects right away: Those that have the potential to seriously injure you or severely damage your home. These include anything involving main electrical lines or cutting tale trees. Because, obviously, you don’t want to burn your house down or cause an explosion or fall from a ladder. Depending on the project, you might also want to avoid plumbing work, it’s not difficult to fix a toilet or put in a new faucet, but anything more than that might be beyond your ability. Roofing repairs are a lot more difficult than you imagine, and of course hold a high rate of risk. Beware of any projects that could affect the structural integrity of your home, such as tearing down walls and converting roof space. One warning sign a project may be over your head is if your town has building codes for it, mandated for safety purposes. E.g. adding a pergola. You might be required to get a permit to do the work, and that might mean you have no choice but to hire a professional. Definitely find out the local rulings on what you can and cannot do yourself. 7. Do You Have the Knowledge, Skills, and Equipment Needed to Do It Right? Try to be realistic about DIY improvements. (Don’t be fooled by all those TV shows and This DIY articles which make these all look so easy). Some tasks, such as tiling a shower wall, look simpler than they are and require an artisan to do correctly. Others, like changing cabinet pulls or installing a dishwasher can be done with a little research and just carefully following directions. Start small. When you’re just starting out, build confidence with small projects and grow from there. For example, change an electrical outlet before you tackle rewiring a room. Build a raised garden bed before you build a deck. Small fixes, such as replacing cabinet hardware or installing new light fixtures, can also often be big upgrades in terms of look and functionality. DIY. parts of the project. You can also save a lot of money on bigger projects by doing a partial DIY. Tackle the parts of a project that are more labor-intensive (for example, 30% of the cost of painting is labor) With a bathroom remodel, for example, you could hire contractors for the plumbing and tile work but do the painting and small fixtures yourself. When it comes to your home, nothing’s worse that investing time and energy into an upgrade that you screwed up. On the other hand, nothing might make you prouder than an improvement you did yourself. Just choose your projects carefully by knowing your risks and capabilities. Looking for weekend projects you can get started on now? Here are the main two home improvements that can make you the most money in the long painting and gardening design. Things break down, whether due to accidents, negligence, or just plain wear and tear. Examples are walls and floors.